Come visit and stay in one of our 6 non-smoking fully equipped and cozy cottages in PEI near the ocean. Each one of our two or three bedroom electrical heated cottages are completely furnished with bed and bath linens, dishes and cutlery, pots and pans, microwaves, electric appliances, fans, patio furniture, and gas barbecues, cable TV, DVD players, electric fireplaces and wireless internet access. Here you can sit or lounge on the front patio with your morning coffee, stretch your legs, walk the nearby trails, cycle the new paved bicycle route, or stroll the nearby sandy beaches or take a swim in the warm gulf stream waters. We are centrally located and only about a 20 to 30 minute drive to any of the Island activities and attractions including Other Services and Themes listed above. On the premises, we have soccer, swings for the kids, croquet, horseshoes, volley ball, badminton and tether ball. You are a 5 minute walk to the beach and the warm Gulf Stream waters. We are within walking distance of the nearby Lobster Eatery and deep sea fishing excursions. There is also a nearby drive in theater and fine dining outlets close by. 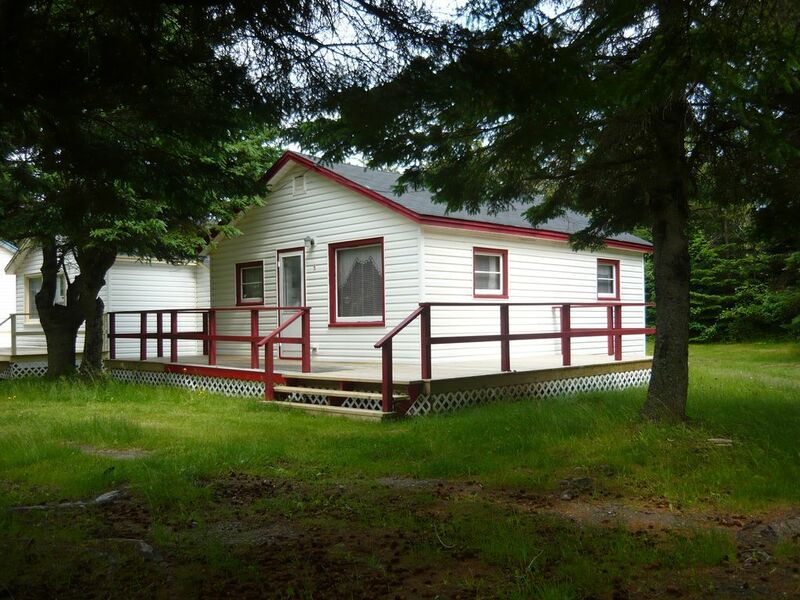 The cabin is located in an ideal area; close to beautiful sandy beaches and a 15/20 minute run to Charlottetown and Cavendish. As well, there were any number of restaurants and stores close by. The cabin is adequately furnished and was clean. The owners were very approachable and helpful. We were four seniors; who found it a bit cramped for a two bedroom cabin. Prior to our visit we were unable to peruse any reviews so we had no idea of what to expect. Overall, we had an enjoyable experience without any serious complaints or concerns. Guest may elect to pay balance by Visa, M/C, or Money Order or Cash at check in. Guest above four persons is considered additional. Cottage #04 rents from Sunday to Sunday only during the Peak Season which runs from June 15, 2019 to September 14, 2019.The Off Season runs from ( May 01, 2019 to June 14, 2019 ) and from ( Sept. 15 to Nov. 30, 2019 ).